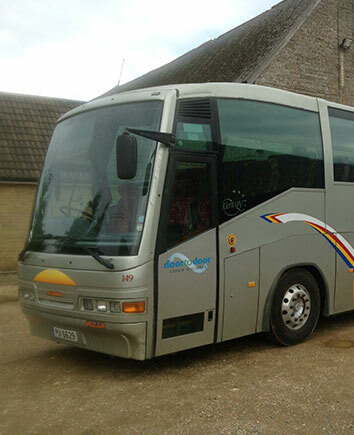 We have a modern fleet of luxury vehicles suitable for parties of up to 70 passengers. At Hayletts Private Hire, safety is paramount; all vehicles are fitted with seatbelts. Please bear in mind all vehicles are non-smoking. Each vehicle is driven by a trained Hayletts driver. Our friendly, helpful drivers have a great rapport with passengers and aim to provide an outstanding service with every trip. Each vehicle is maintained to VOSA standards and checked every 10 weeks (the smaller vehicles are council checked every three months). Paul is our on-site mechanic and ensures each vehicle is running as it should be. Every vehicle in our fleet is fully insured and we carry full Public Liability insurance. If you have any further enquiries about our fleet, please don't hesitate to get in touch. If there's somewhere you need to be, why not give Hayletts Minibus Hire a call? A convenient 24 hour service is available on pre-booked bookings, so we're here whenever you need us. So, whether you're catching a flight, getting ready for a big night out, or travelling for business, call Hayletts Minibus Hire in Kettering. We'll get you there in quick time. Copyright © Hayletts Private Hire. All Rights Reserved 2019.